How does one use scientific breakthroughs to craft superior anti-aging skin care? At Lifeline, they began with their own patented stem cell skin care discovery. While researching cures for diabetes and Parkinson's Disease, a team of biotech scientists discovered a powerful human stem cell extract that improved the look of aging skin. This discovery has created a new era in anti-aging skin care products. They continued to build on that stem cell success, using their advanced absorption technology to deliver specialized ingredients more effectively through our expanded skin care line. Their founding team of scientists discovered a new class of stem cells that promise to change health care, and skin care. They created the first non-embryonic human stem cells. These cells can proliferate and live almost indefinitely. And with this discovery, stem cell cures for incurable diseases, like Parkinson's Disease, liver disease, and blindness, now look promising. Their unique patented process creates human stem cell extracts from unfertilized eggs, rather than embryos. The parent company, International Stem Cell Corporation (ISCO) is the only source for these ground-breaking stem cell skin serums. ISCO has pioneered a new class of human pluripotent stem cells derived from unfertilized eggs. These stem cells, known as human parthenogenetic stem cells (hpSC) retain all of the advantages required to generate targeted therapeutic tissues for research and regenerative therapies. New absorption technologies deliver advanced anti-aging ingredients like never before. Lifeline Skin Care products are more easily absorbed by the skin, because of the small molecular technology. Recently, their scientists have found a way to harness small molecular technology, allowing specialized ingredients to be absorbed into skin more easily and infinitely faster because of their low molecular weight. These micro-molecules work to firm and tone, awakening dormant collagen and more. 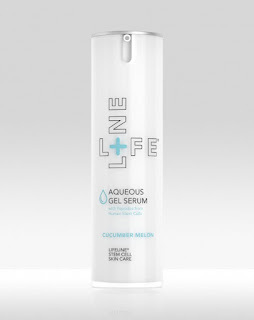 Lifeline Molecular Renewal Serum with Cucumber Melon Extract contains Lifeline Skincare's newest anti-aging advanced technology: small molecules to deliver more skin smoothing benefits than you ever thought possible. Small molecule technology had advanced retinol-like efficacy, without the irritation and with the ability to stimulate collagen production, increasing the healing process of skin while it protects the skin from the effects of daily stress. It is free of parabens, gluten, sulfate and is available in an unscented formula. When you purchase this, you will be eligible to receive a gift of 15mL of Molecular Renewal Serum, no coupon needed. This product leaves the face more firm and toned, bringing out the skin's vitality. There are less lines and wrinkles and a minimal appearance of one's age. To use, after cleansing apply evenly over face and neck. Avoid the eye area. Use in the evening for optimal results. 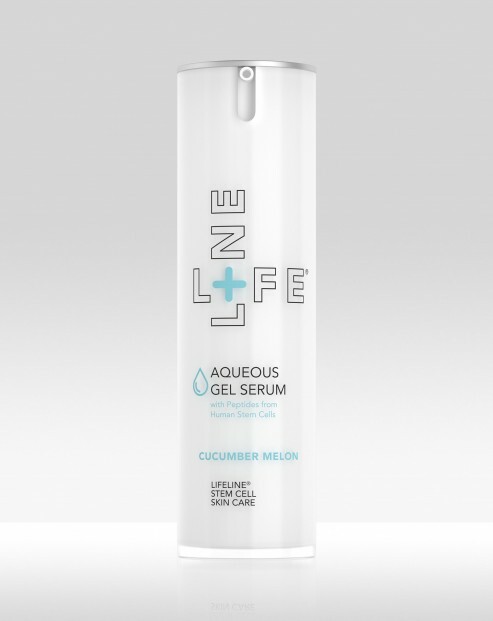 New Aqueous Gel Serum With Cucumber Melon Extract is part of a NEW patented biotech approach to skin therapy. Lifeline uses the world's only proteins and peptides from human (non-fertilized) pluripotent stem cells, along with powerful concentrations of cutting edge ingredients to make this a multi-tasking formulation for extremely effective results. This Aqueous/Vegetable Glycerin based formula contains Melon Extract and Mushroom Extract to promoted the appearance of healthy glowing skin while being intensely moisturizing resulting in suppressing fine lines, wrinkles and feathering. It also reduces skin irritation, decreases redness and improves skin's micro-circulation. 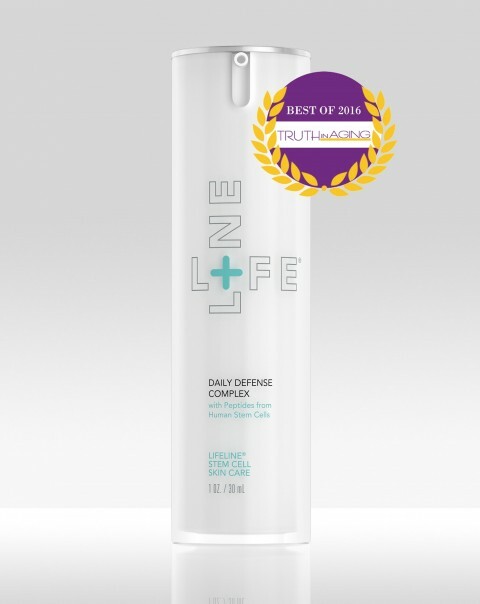 This product is free of parabens, gluten, sulfate and is available in an unscented formula. This serum reduces fine lines and wrinkles by helping to enhance collagen production. Advanced levels of moisture help to soothe inflamed skin. Firming Stem Cells help to enhance sheer beauty. To use: after cleansing apply all over face and neck, avoiding eye area. Use morning and evening prior to using moisturizer. Lifeline's Daily Defense Complex has a lightweight formulation that delivers the latest advances in anti-aging bio-technology. This super-potent formulation visibly firms, tones and defends skin every day. It diminishes the appearance of fine lines and wrinkles and visibly restores the tone and texture of sagging skin. Powerful concentrations of peptides derived from pluripotent non-embryonic human stem cells work together with Ultrasomes and antioxidants to deliver noticeable results. Together, these technologies help reduce the appearance of aging. This lotion leaves skin looking and feeling better in little to no time. In just a couple of weeks you will notice the difference in your skin, as opposed to a month for most lotions and creams. Fine lines and wrinkles will be decreased, hyperpigmentation will also be decreased and skin will look glowing and resplendent. To use: apply to clean skin, spreading over face and neck. This was awarded a Best of Truth in Aging Award last in 2016. 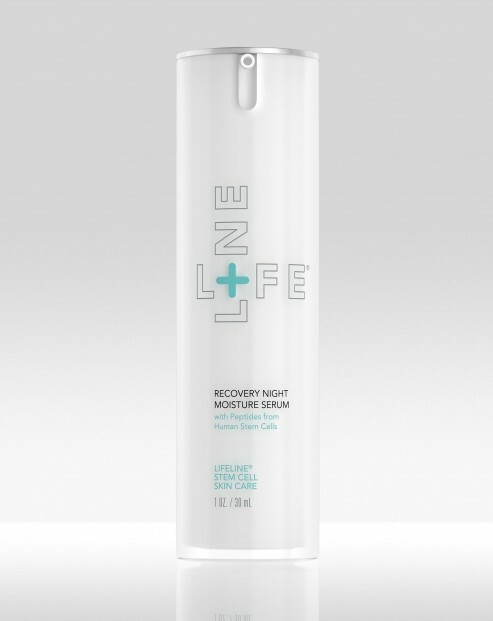 Lifeline's Recovery Night Moisture Serum is an advanced formula that works with your body's natural healing cycle to improve the appearance of skin while you sleep. It has peptides from pluripotent non-embryonic human stem cells and amino acids. This serum restores the moisture barrier and reduces the appearance of fine lines and wrinkles. You will wake up to find firmer, more radiance and younger looking skin. 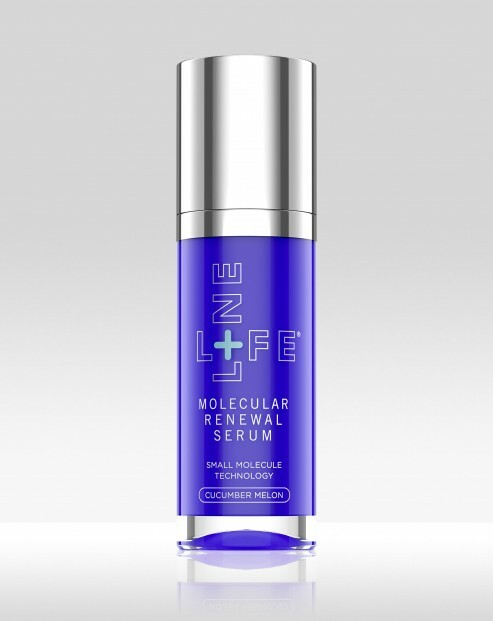 This serum is part of a new biotech approach to treating anti-aging, using growth factors and proteins from human non-embryonic stem cells to nurture collagen and elastin. To use: smooth over clean skin at bedtime. 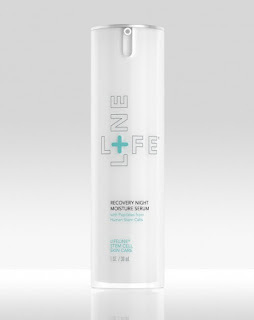 After a few weeks, you will wake up with skin that is brightened, more youthful looking and has less less and wrinkles. 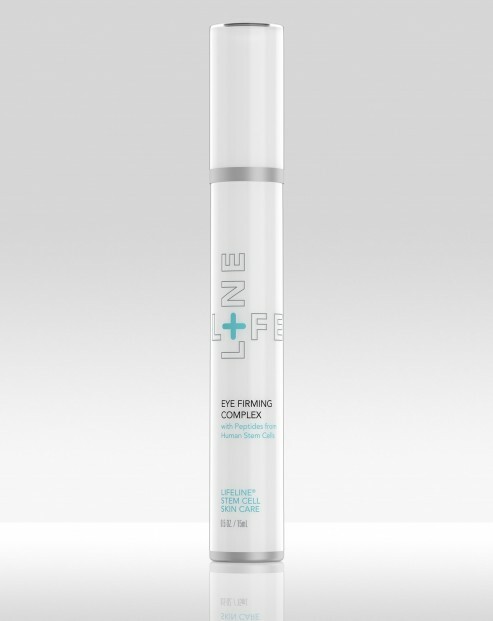 Made with advanced stem cell technology, Lifeline Eye Firming Complex is powered by peptides derived from pluripotent non-embryonic human stem cells that dramatically reduce the visible signs of aging. Powerful nutrients are incorporated to soothe, hydrate, tighten and lift. The delicate, fragile area around the eye is usually the first to exhibit the signs of aging. The Eye Firming Complex is part of a new biotech approach to treating anti-aging, using growth factors and proteins from non-embryonic human stem cells to nurture collagen and elastin. I found this eye cream to be deliciously decadent. It is rich and very good. I feel like it really does a good job of working at helping to fight off the signs of aging, such as fine lines, dark circles and puffiness. To use: Apply a small amount right above the cheekbone and below the brow. Tap until fully absorbed. Repeat morning and evening. 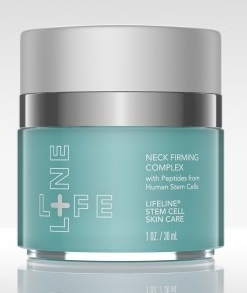 Lifeline Neck Firming Complex is part of a new biotech approach to address neck aging concerns. Using the power of peptides derived from non-embryonic human stem cells with highly potent specialized ingredients, including many dynamic moisturizers. Lifeline’s Neck Firming Complex restores the appearance of a firmer, smoother, younger looking neck and a beautifully, healthy looking skin tone. This new formulation provides rapid deep hydration, visibly smoothing wrinkles away and promoting elasticity of the neck and décolleté. Peptides nurture skin's collagen and elastin to visually lift and tighten, resulting in a more youthful and evenly toned neck. To use: after cleansing, apply to neck and décolleté. My neck liked this cream. It did help to firm it up and make it seem more toned. It was definitely more hydrated and moisturized. My neck felt less crepey and looked more beautiful than it had in ages. By subscribing to auto-ship you can save 20%. That is a lot for these items. Lifeline Skincare is available online at www.lifelineskincare.com. Like Lifeline on Facebook: https://www.facebook.com/LifelineSkincare; Follow Lifeline on Twitter:@lifelineskin; Follow Lifeline on Pinterest:https://www.pinterest.com/lifelinesc/ and Follow Lifeline on Instagram:https://www.instagram.com/lifelineskincare/.